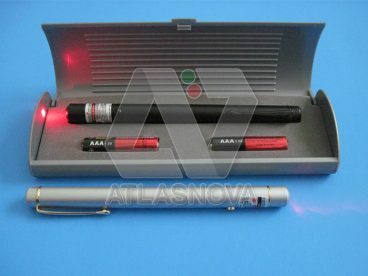 The Atlasnova 650nm Red Laser Pointer (LP-650) does not have the apparent extreme brightness of our 635nm model. It is however, quite adequate for most presentations or lecturing use. 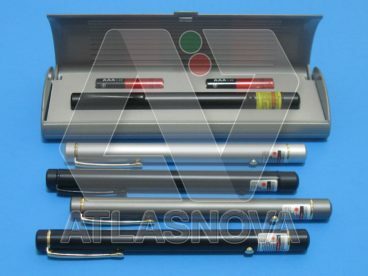 Many of our customers also use our 650nm red laser to exercise and entertain their pets in a safe indoor environment (cats and dogs). Made in Taiwan. Available in all black, gray, silver, and black with gold trim finish. All metal construction in plastic gray gift box. Focus is pre-set to maintain a small dot size even at maximum range. To make sure that you are buying a genuine Atlasnova 650nm red laser pointer, always insist on seeing the FDA sticker before purchasing any laser pointer. 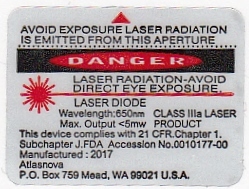 Our LP-650 has our company’s name and address on each FDA sticker. 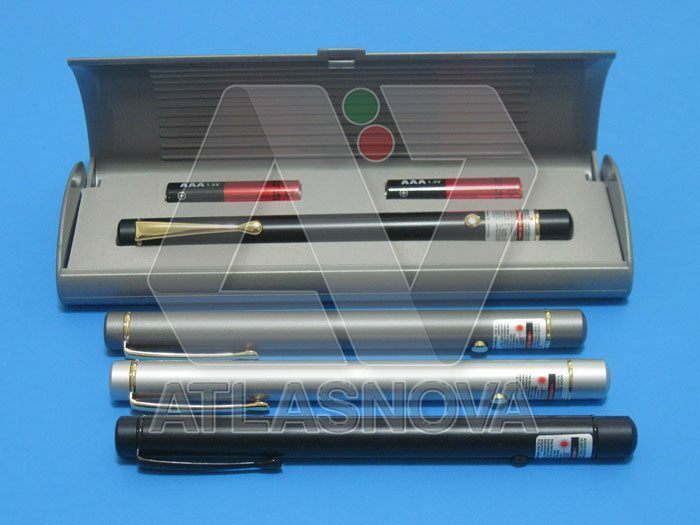 This is our LP-650’s FDA sticker attached to each laser pointer as it leaves the factory. WARRANTY: The LP-650 comes with a 30-day warranty. 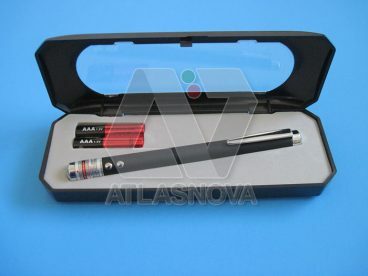 Removal or attempt to remove the FDA sticker, dropping the laser pointer, scratches, or any attempt to disassemble the laser pointer, will void the warranty.